We, Chantal van Son (CLTL group) and Davide Ceolin (Web & Media group), are looking for two talented Master students to be hired as research assistants for 10 months for 1 day a week in the Network Institute project “Enhancing Quality Assessment Using Perspective Detection”. This project is part of the Academy Assistants programme. As humans, we assess Web documents on two dimensions. On the one hand, we evaluate their quality by judging how precise, accurate or neutral the information contained in documents is, or how reliable their sources are based on their reputation. On the other hand, we consider which perspectives are represented in documents. Do the authors present information from their own or someone else’s perspective? How (un)certain are sources about the truth of statements? In turn, perspectivization of information may affect our quality assessments. In this interdisciplinary project, the two students will collaborate to improve and enrich the output of an existing tool for assessing the quality of Web documents along two lines. First, the current coarse-grained quality assessment scores are accompanied by more fine-grained predictions over specific quality dimensions like precision, accuracy, and neutrality of the information. Second, we will make use of NLP technologies to integrate information on attribution (who says what) in text. We are looking for one student from Computer Science/Artificial Intelligence (CS/AI) and one student from (Computational) Linguistics (CL). testing a range of machine learning algorithms for predicting the quality of Web documents. annotating texts with relevant attribution types (to be defined by the student). 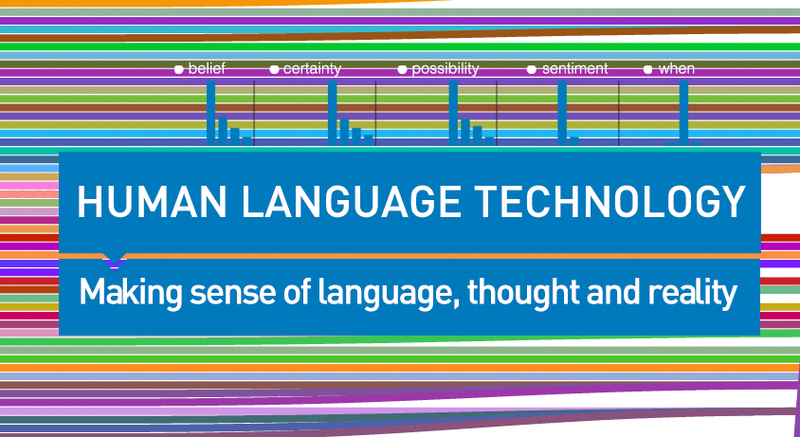 strong technological background and an interest in language technology. This is an excellent opportunity to boost your CV. If you are interested, send us your CV (with course list and grades) and a short motivation letter before Monday July 31, 9:00 to Davide Ceolin (d.ceolin@vu.nl) and Chantal van Son (c.m.van.son@vu.nl). Of course, also feel free to contact us for more information.